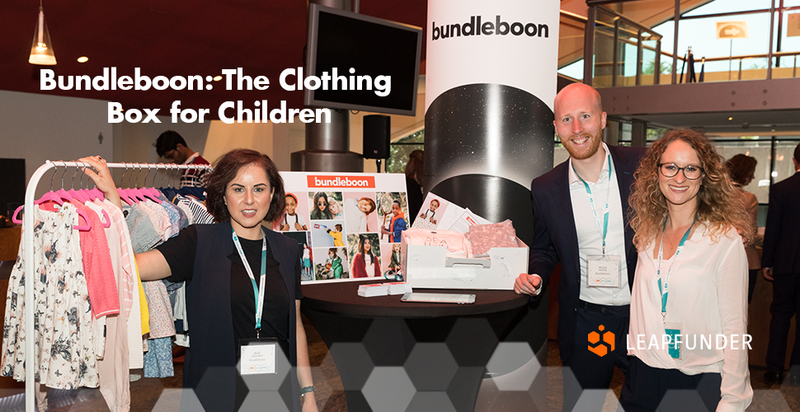 Bundleboon launched mid-2017 as the first personal shopping service for kidswear in the Netherlands. They offer young parents, with children between 0-8 years old, a unique and personal shopping experience when buying outfits for their kids online. They were a part of the Commerce accelerator at Startupbootcamp in Amsterdam, where they established their unique business model, as well as started collaborations with various partners in the fashion industry. Find out why they are a product-market fit, why they chose Leapfunder as their online funding platform and what kind of investors are they looking to attract. 1. Hi Michel, thank you for agreeing to do the interview. 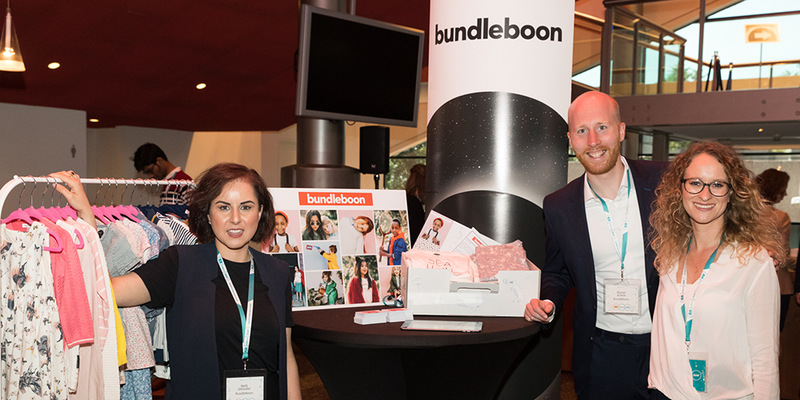 Tell us about Bundleboon, the idea that got it all started and the amazing team behind it. Bundleboon was founded by Danish-born, Nelli Jeloudar in June 2017 from her tiny living room in Amsterdam. She used her network and experience from The Cloakroom – a personal shopping service for men to validate and improve the service. For months, she ran the little startup next to her day job and made more than €40.000 in revenue. A few months later, she attended the Amsterdam Startup Weekend, which turned out to benefit Nelli as she met her future cofounders during the event. The German-born and fellow female founder, Monique Janke has a background in online retail from Zalando and De Bijenkorf. The only male co-founder, Michel Ariens is the innovation and online marketing genius with years of experience at Unilever. The perfect trio joined forces with one goal in common; bringing back the special moments in a shopping experience. In their own words, they want families with young children to “unbox awesomeness” with the help of a Bundleboon box. 2. What problems are you trying to solve? What are the benefits of your product and why is it a product-market fit? Bundleboon solves the often exhausting issue of shopping for your children and turning it into a fun and memorable moment with the family. The real proposition is the experience of the box, where we focus on delivering a unique and fun unboxing moment for the child as well as the parents. We save parents time, create a unique experience and we inspire mothers and fathers with brands they have never seen or heard of. Truly reinventing the way they shop and get to know new brands. We currently have serviced over 350 customers that we acquired with less than €1.000 in marketing. Because our customers love our service and want to share that on their own social media accounts. Those customers have kept 70% of the value shipped which translates into €70k in revenue. 3. How much growth potential do you see for Bundleboon and what type of investors are you looking to attract? We have seen similar concepts for childrenswear in the US with enormous growth potential (Rockets of Awesome has already hit nearly €20M turnover to date). But also similar concepts for adult fashion, like Stitch Fix and Outfittery. These concepts work because people like to get advice, save time and get inspired at the same time. 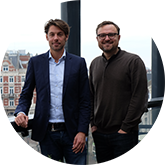 We look to grow Bundleboon to over 2.000 customers by the end of 2018 and a to have a turnover of €0.5M by mid-2019 in the Netherlands. We also look further, the childrenswear segment in Europe is the fastest growing in the fashion industry, driven by luxury shopping, personal shopping, and gifting. Our proposition is a combination of these drivers and we look to press that advantage across multiple countries. We are currently looking for investors with a network in fashion and retail or with a background in supply chain and/or machine learning, to help us grow our business locally and start 2019 internationally in Denmark & Sweden. We appreciate a strongly committed and hands-on approach where the goal is to grow as quickly as possible. 4. You chose Leapfunder as your online funding platform. What makes it the right tool for your startup and what do you expect from the round? What is the advantage of having a live Leapfunder round during demo day of your accelerator? The valuation for such a young startup is usually very difficult, especially when going through an accelerator program like Startupbootcamp. The support that Leapfunder offers, combined with the convertible note raise perfectly fits the stage that we are currently in. We see many opportunities and are gaining more and more traction, but through this round, we are able to raise and build our company further before officially valuating Bundleboon. Having Leapfunder live during Demo Day helped us with identifying what we, as a startup, were looking for and communicating that clearly to investors that were present. 5. What are your plans for the upcoming months? Tell us about your go-to-market strategy and the plan to acquire customers. We have been able to partner up with many brands and retailers to provide a unique and nearly risk-free inventory strategy so we can focus completely on customer acquisition during the upcoming months. We see that mothers from mid-high income households are very excited about our proposition and the best way to reach them is on Instagram. We have built a detailed plan, together with our PR and branding partners, that enables us to leverage the back-to-school period as the perfect moment to acquire new customers. With our suppliers, we have been able to select the best styles for the coming season. Till the end of the year, our focus will be on 1) building our brand and a steady flow of new customers through ongoing social media acquisition and 2) leveraging significant events/moments, like the holiday season in December, to offer exclusive and exciting boxes that match the wishes of parents during these events. Thank you, Michel. We wish Bundleboon the best of luck!